The Town of Burlington in conjunction with Nordblum Company in redeveloping a new mixed use retail center in the Northwest Office Park off Middlesex Turnpike in Burlington. While Nordblum has been busy redeveloping the property and securing Wegman's Supermarket as the anchor tenant, Burlington in conjunction with the state has received $3.5 million dollar in MassWorks Grants. 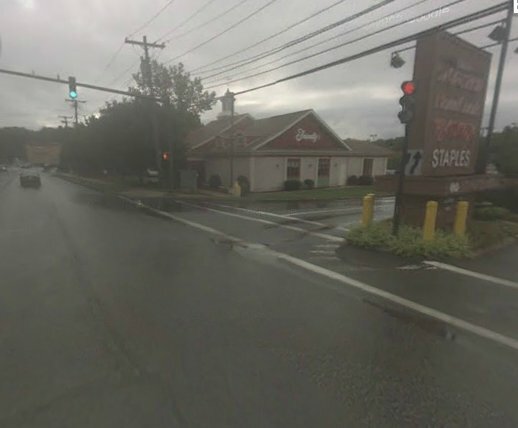 While the area currently primarily consists of office buildings, a new 140,000 square foot Wegman's will be opening along with plans for a host of non-chain restaurants along 3rd avenue. Plans also call for a bowling alley and 300 residential apartments. 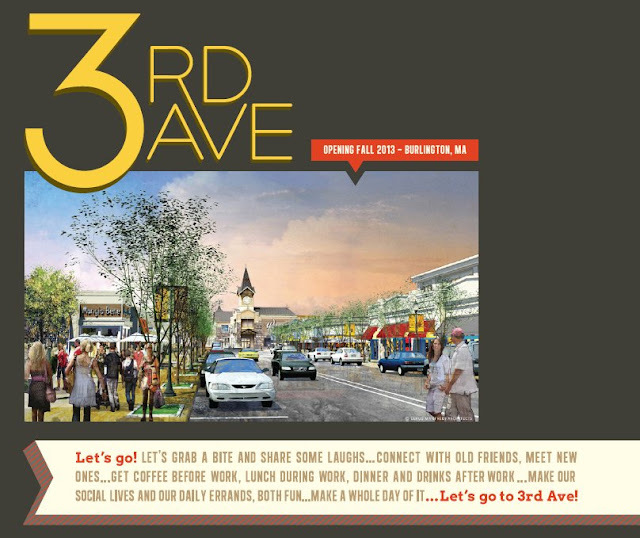 The project is designed to emulate a downtown area, with wide sidewalks and a main street. More details on this project can be found here. 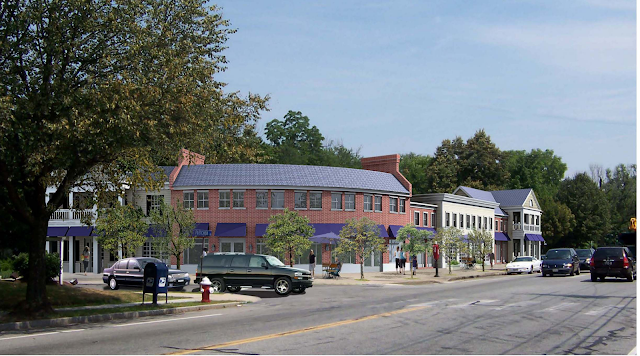 This is a very interesting redevelopment project that seems to make sense from a land perspective. The downtown areas in most Massachusetts towns are deemed historic and thus are restricted from significant redevelopment. There is very little open land left for new malls or shopping centers while there is a glut of office space in older suburban style office parks. The challenge will be to gain a critical mass of restaurants and retail to make this a destination. 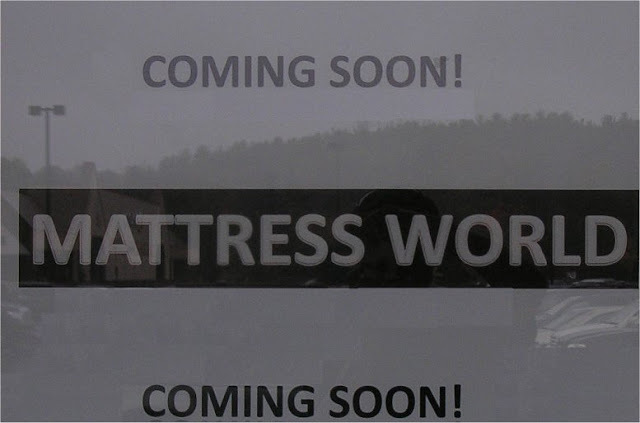 Gerald Management Group, owners of Great Road Shopping Center, have proposed a new Quick Service Restaurant to replace the Travelodge which is forecast to close soon (it's no longer accepting online reservations). The proposed restaurant is expected to be about 3600 square feet and features 68 seats and a Drive Thru. McDonald's and Dunkin' Donuts are currently the only restaurants in town that feature Drive Thrus. The exact brand of restaurant is still unknown at this time. Please click here to see the top 50 Quick Service Restaurant brands. What restaurant would you most like to see? Friendly's Filed for Chapter 11 Bankruptcy Today in US Bankruptcy Court in Delaware. Last night Friendly's shut down 63 out of it's 487 locations. The Bedford store at 343A Great Road will remain open for now. A total of 30 stores in Massachusetts closed, including nearby locations in Acton and Billerica. Friendly's has been struggling for some time. It remains to be seen if they will survive. My short term advice to them is to make sure you are fully staffed and be able to serve lunch quickly. The few times I have been there for lunch, they have been understaffed and it took a long time for the food to arrive. Having to wait a long time after you order ensures you will not get any business people on their lunch hour. Perhaps add a 5 or 10 minute order guarantee, similar to what Papa Ginos currently promotes during lunch. 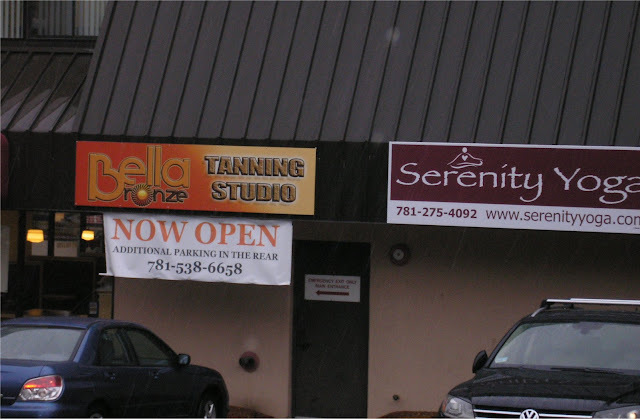 Bella Bronze Tanning Studio opened last week at 363 Great Road. 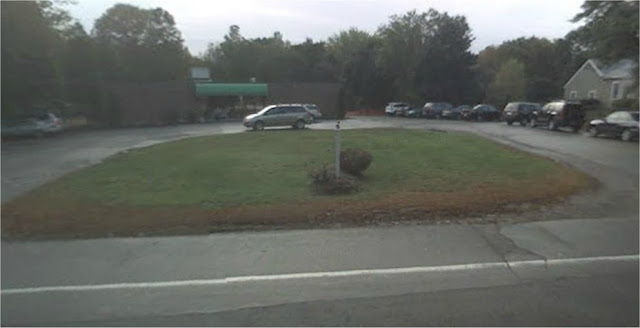 This is the former location of Curves. Stay tuned for a more in-depth article. Work continues of the Black Block. New foundation is being prepared. Below is an updated image drawing of what the completed block is expect to look like. Construction is expected to be completed by Fall 2012. 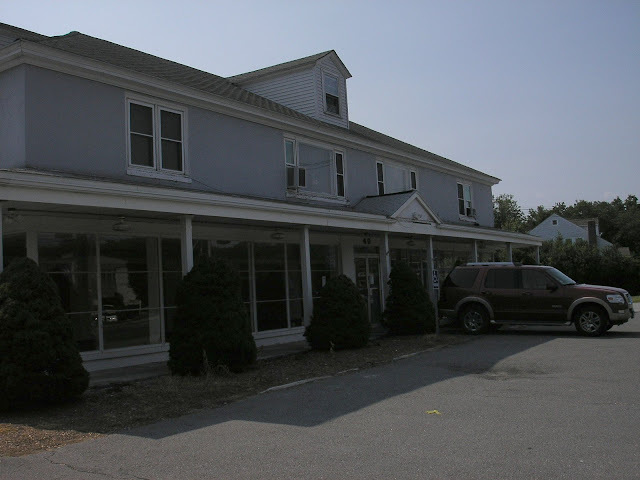 A Place to Grow Childcare at 402 Concord Road was recently sold to Bedford Resident Daisy Girifalco and renamed Bedford Children's Center. Daisy along with her husband Mike, who also works for the business, had sent their kids to the center and were very impressed. 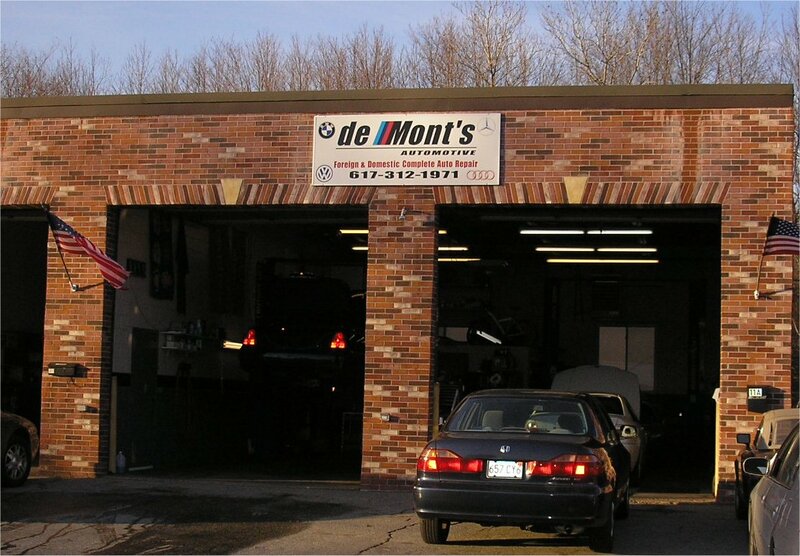 A Place to Grow, which opened it's first location in 1979, has remaining locations in Arlington, Belmont and Concord. Doyon's TV and Appliance is set to open at the old Walcott's location at 40 North Road on August 1st. This will be the third location for Doyon's which currently has stores in Gloucester and Reading. 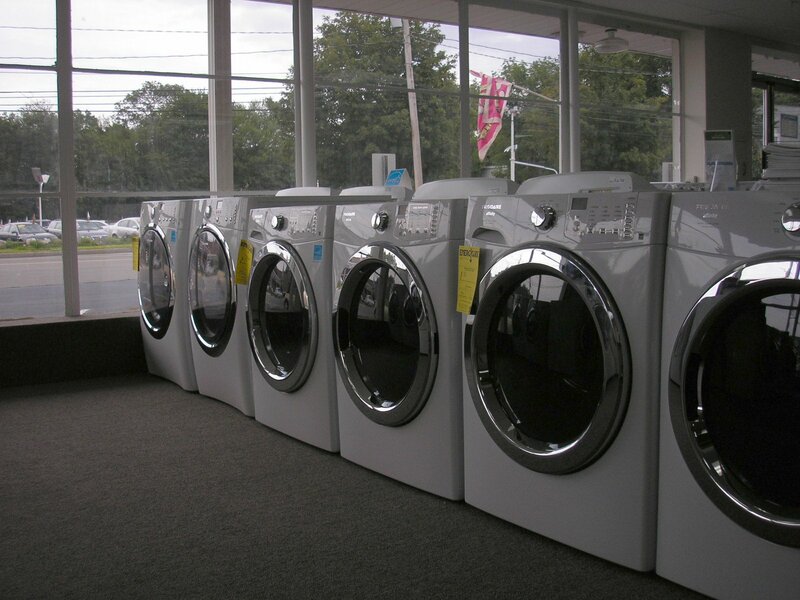 The discount appliance chain first opened it's doors in 1950. Along with traditional appliances, Doyon's also sells Air Conditioners, BBQ Grills and Televisions. The old Walcott's store is currently undergoing an interior renovation. Stay tuned for a more in-depth article. 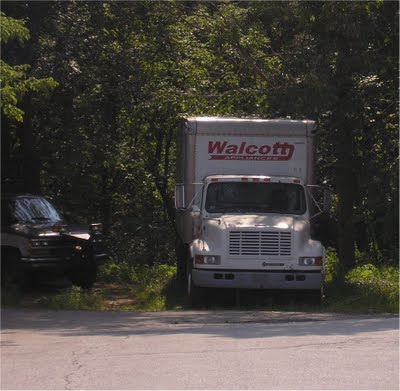 A Walcott's Truck is still parked on the premises. 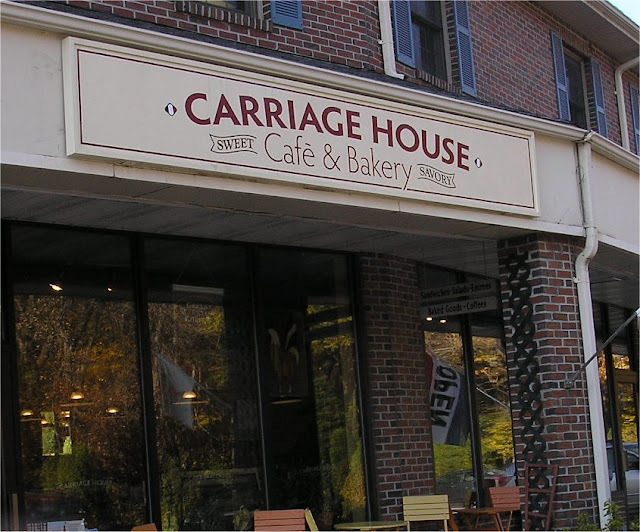 The Carriage House Cafe at 200 Great Road re-opened on May 1st with a new owner and an updated menu. 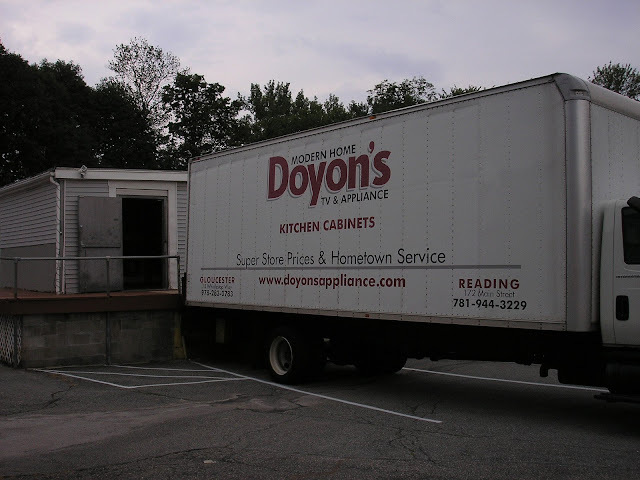 I recently spoke with the new owner, Dana Strayton and her husband Rob, who run the business together. Dana's family has been in the restaurant business for a long time. Growing up, she was told by her mother, that she should be a chef. About 8 years ago, she started her own catering business. For the past 3 years she was looking for a restaurant to open. Earlier in the year she came across Carriage House Cafe and thought it had a lot of potential and it was in a perfect town so she went ahead and purchased the restaurant. The new bakery features many 'old world' items. 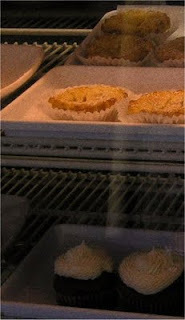 Her focus after purchasing the restaurant, was to improve the quality of the existing menu items by adding fresh ingredients such as locally grown produce and artisan bread along with new items such as Calzones, Sicilian pizza and additional breakfast items. 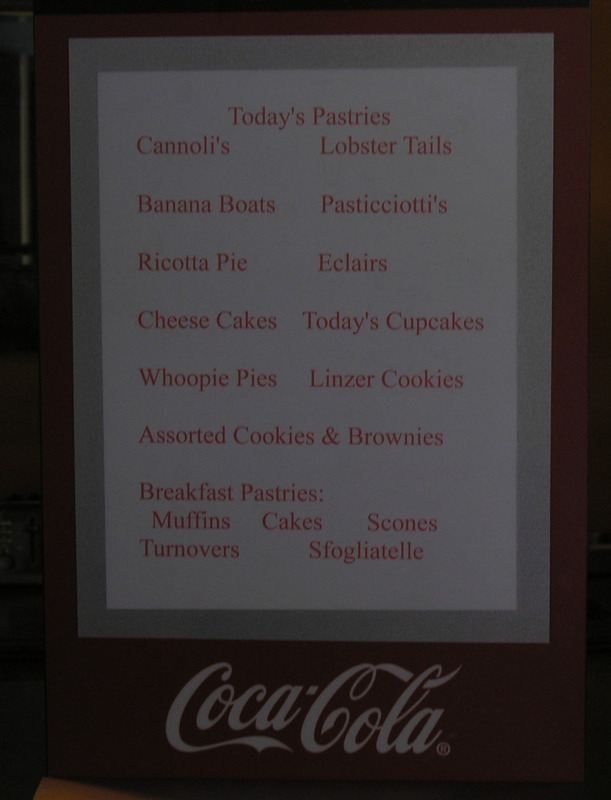 In conjunction with the updated menu, Dana has also added a old fashion Italian bakery that features items you can't find anymore. The baking is overseen by Rocky Scali, an Italian born Master Pastry Chef with over 50 years of experience. The restaurant seats 23. It now stays open until 4pm during the week. Dana has also signed on with the Bedford Farmer's Market to be the lunch vendor at a few of the upcoming Markets later in the season. 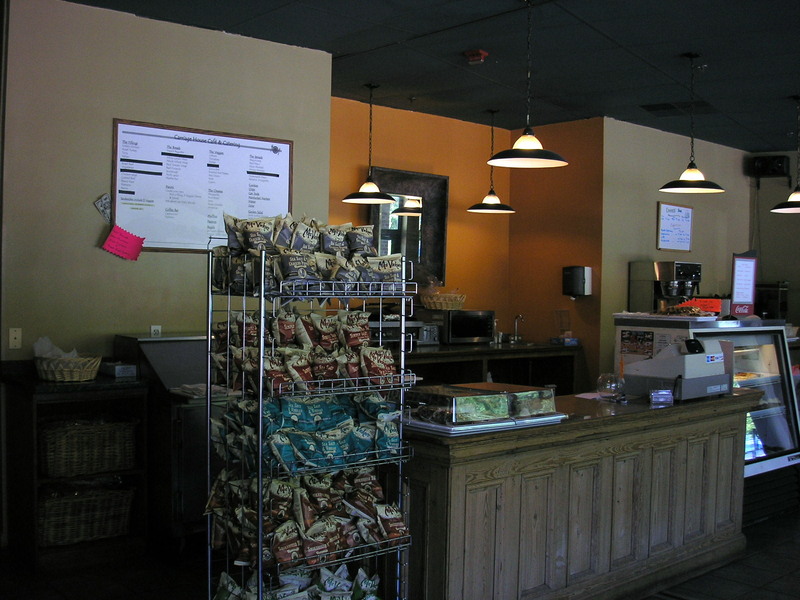 In addition to the restaurant, Dana plans to continue it's existing corporate and social catering business. 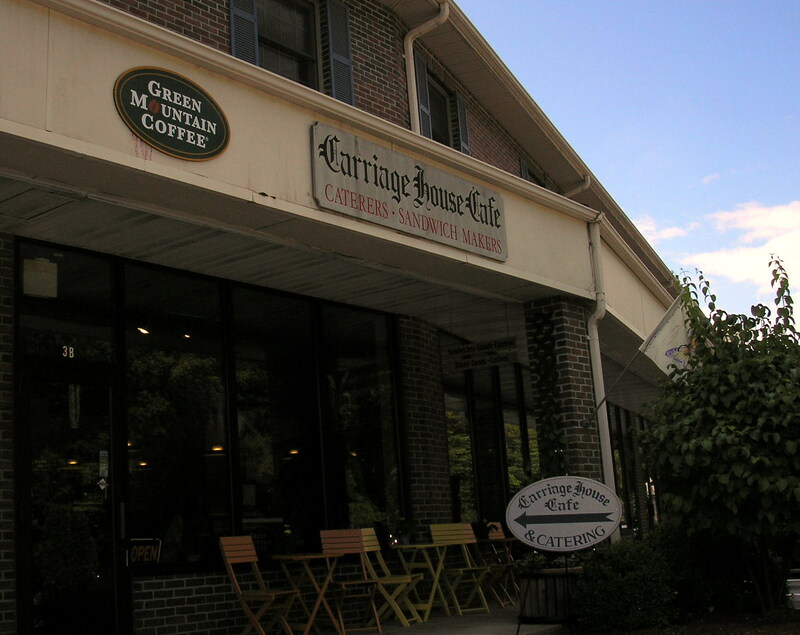 Unlike Blue Ribbon Plaza, the shopping center where Carriage House Cafe is located has no name. The addition of a Bakery should be a plus. With the Blake Block about to be demolished, this restaurant has a good opportunity to pick up new customers. The challenge is it's not easily visible when driving by on the Great Road. The shopping center does have a good mix of complementary retail businesses. Some branding might be helpful. It would be interesting if a few of them worked together to produce a flyer to send to Bedford homes and businesses. Today marked the start the 4th season of the Bedford Farmer's Market. This year features many new vendors (now a total of 26) with additional food choices including cheeses, homemade fudge and bottles of Wine. 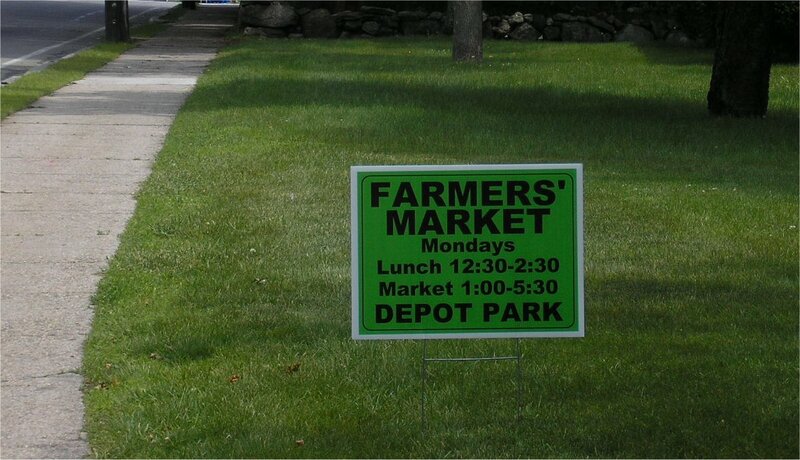 The Market will be open every Monday through October 17th. 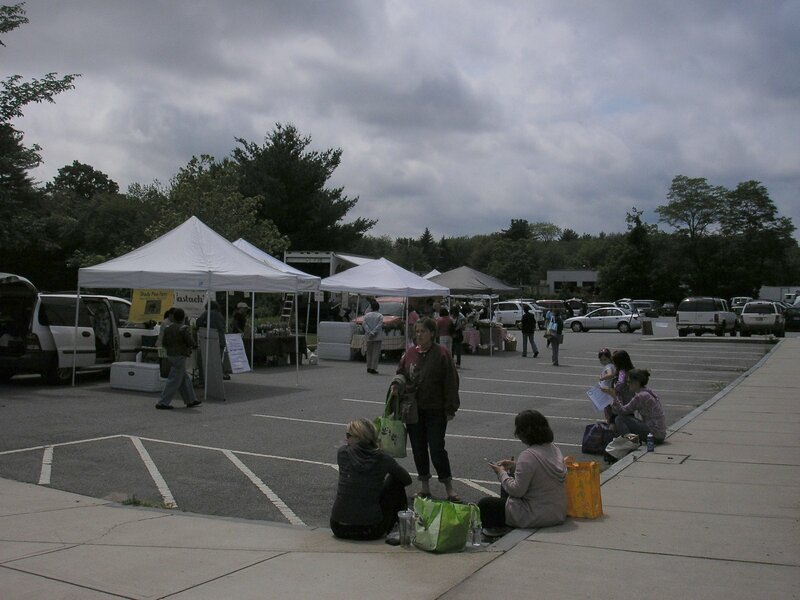 The Market now features lunch from 12:30-2:30pm, while the vendors are open from 1-5:30pm. The changes made for 2011 seem to be good ones. The addition of lunch helped bring in lots of additional people. In fact the lunch vendor, Great Harvest Bread Company quickly ran out of sandwiches, had to call to get more and promptly sold out again. 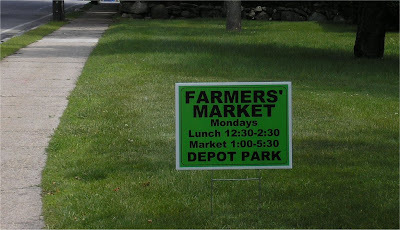 Last week, flyers about the Farmer's Market were left on cars in nearby corporate parking lots. 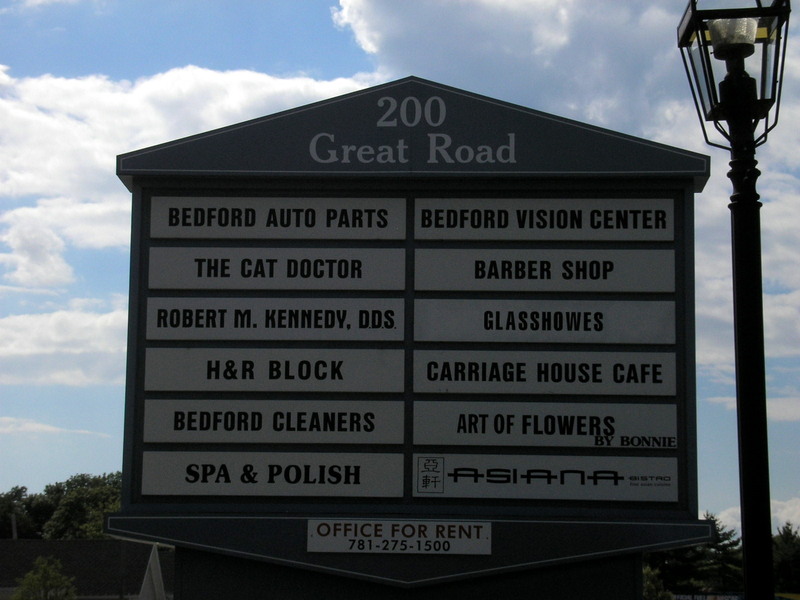 From my observations, these two changes combined to bring a lot more office workers (many who did not live in Bedford and who were previously unaware of the Farmer's Market). Details are still forthcoming but it looks like the Blake Block has gotten financing to move ahead. Current tenants are being asked to leave by the end of May and construction is currently scheduled to begin in June. Stay tuned for more details. 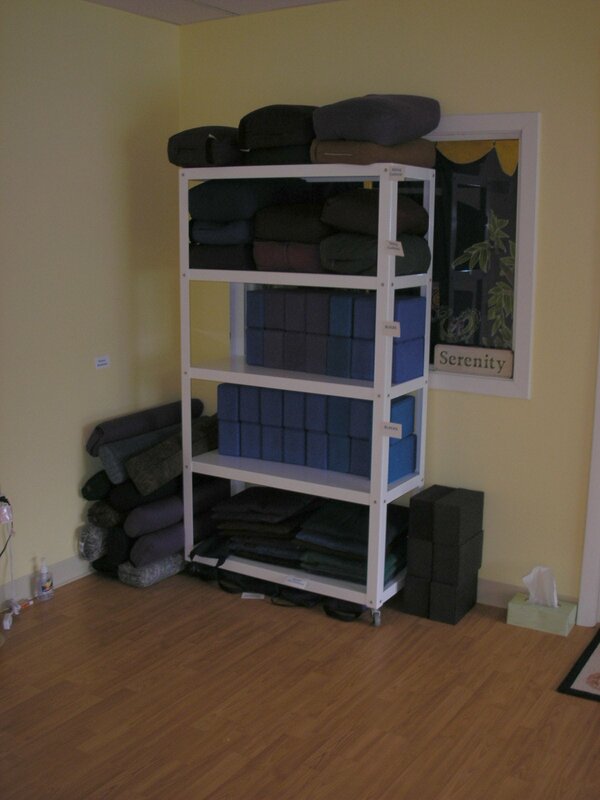 Serenity Yoga recently moved from an old house at 18 North Road to the shopping center at 363 Great Road. I recently spoke with the director, Toni Bradley. 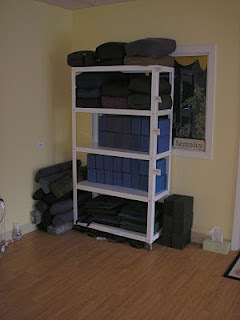 According to Toni, Serenity Yoga had been at 18 North Road for over 11 years. They liked the location, but wanted a space where they could have larger classes. The new location is on the second floor in the space previously occupied by Adecco Employment Services. 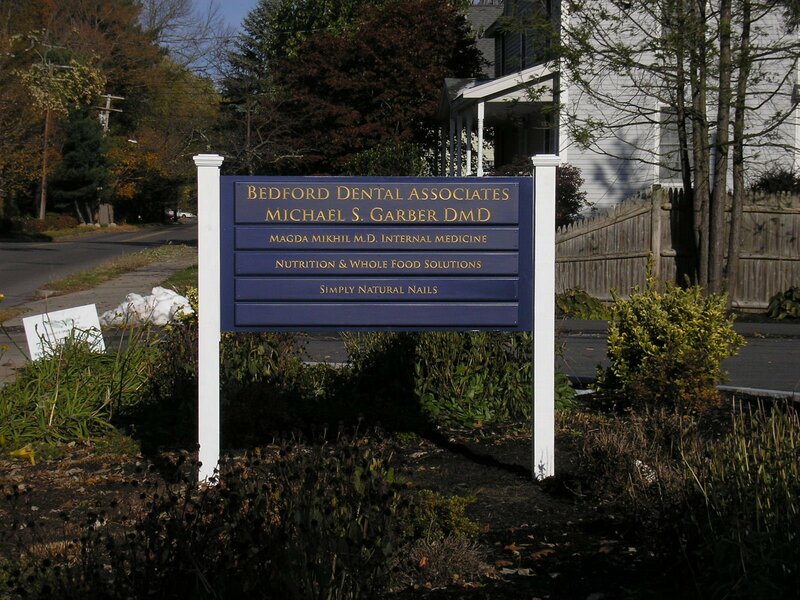 The new location is on the second floor right next to Bedford Chiropractic. 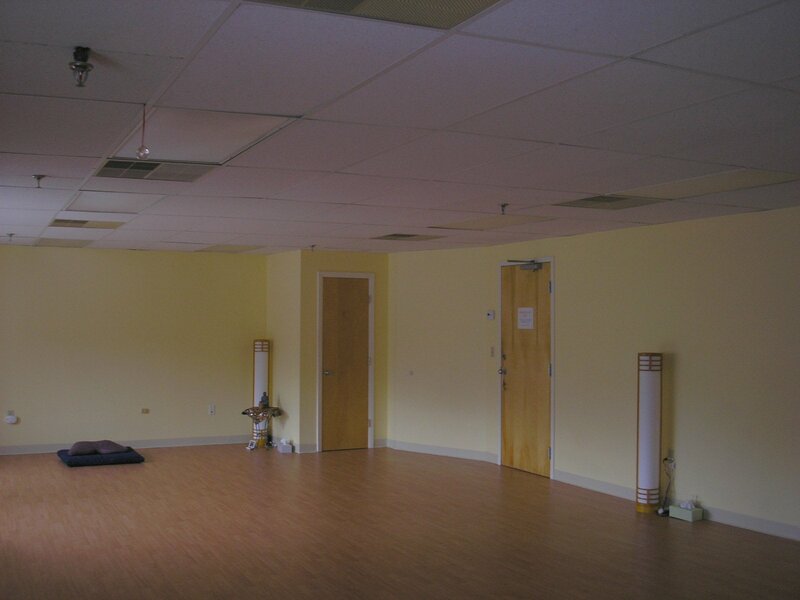 With the larger space, Serenity Yoga was able to increase the maximum size of their classes from 11 to 20 people. Along with the larger class size, they have increased the number of different classes to 16 per week and are considering adding Yoga classes for kids as well as a men's only class. Serenity Yoga is a Kripalu Affiliated Studio, which is a nonprofit educational organization dedicated to promoting the art and science of yoga and is located in Stockbridge MA. Out of the 10 Teachers at Serenity Yoga, 8 have trained and been certified at the Kripalu School of Yoga with 4 to the highest level. 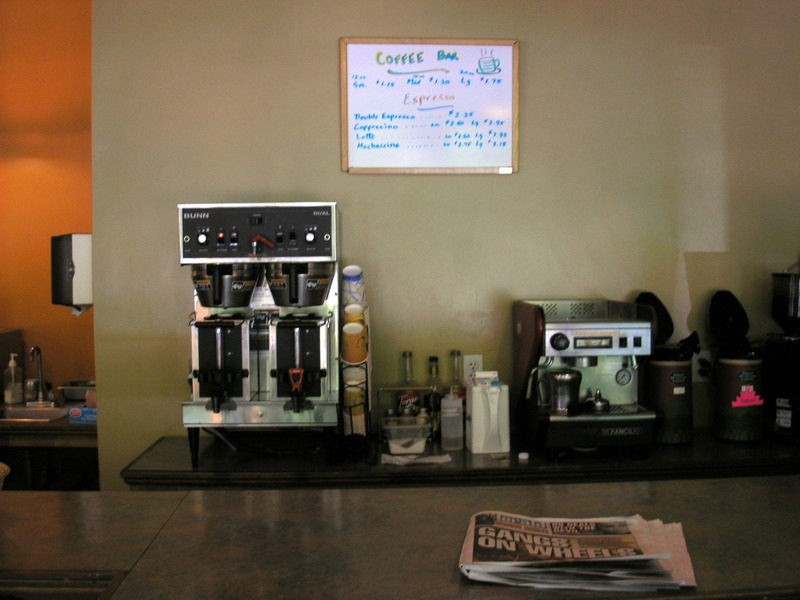 Unlike the old location, the new space features wooden floors. Toni mentioned that they placed carpeting under the floor to soften it and also can provide 2 inch thick mats if desired. Toni has mentioned that most of her students have been pleased with the new location. 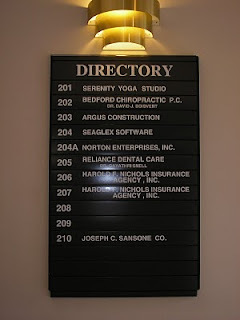 In fact right next door is Bedford Chiropractic who has been referring some of it's patients to Serenity Yoga for several years. 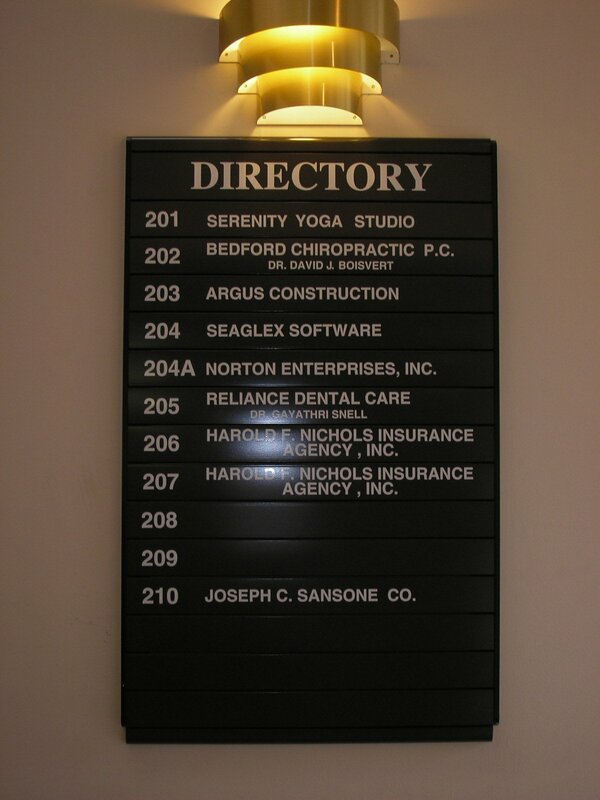 Serenity Yoga hopes to add their name to this sign. 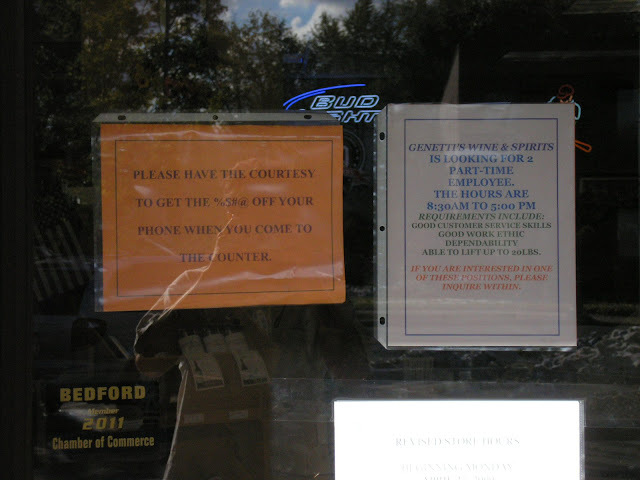 Due to zoning regulations, the location and type of sign is grandfathered at this location. This means if the sign needs to be removed for any reason (even for repair) it may not be placed back. 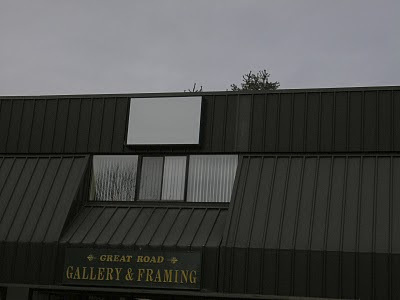 The sign does not currently work and attempts are being made to repair it without removing it. 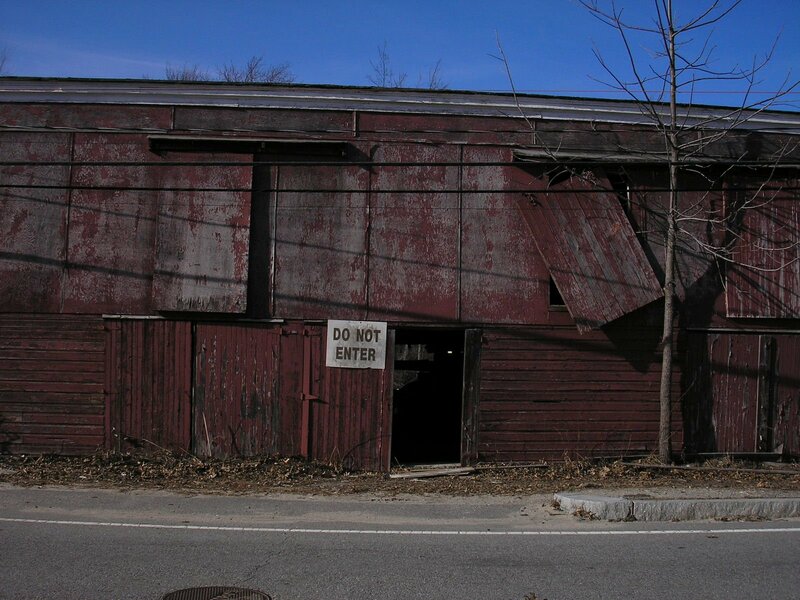 The ramshackle Red Building at 1 Railroad Avenue across from the Bikeway Source is set to be torn down. According to the Bedford Assessors Office, the building was constructed around 1942. Ken Larson the current owner of the property, stated that the building was set to be torn down in December but got delayed by all the snow. The current plans are to remove the building and then clean up the lot. The inside of the building has been falling apart and looks ready to collapse. 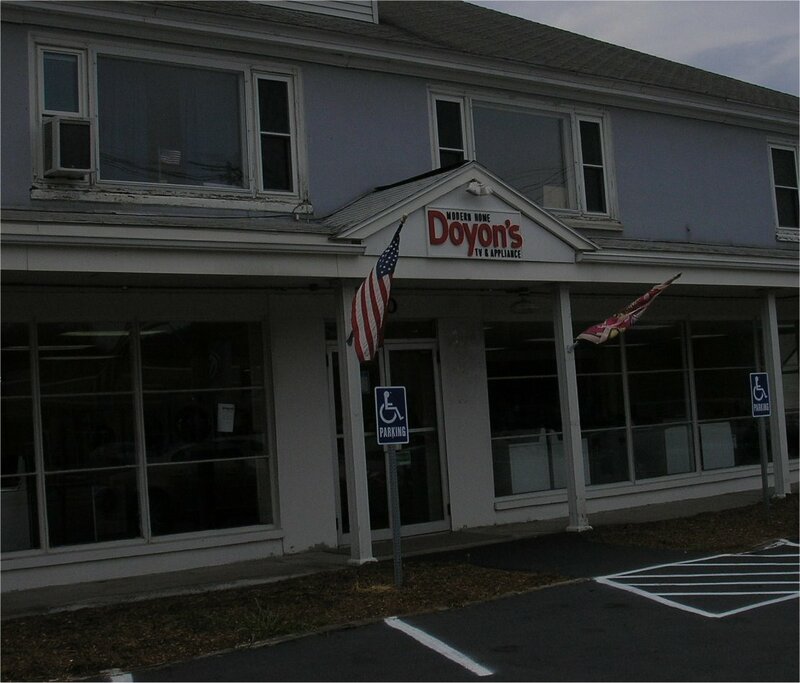 This property is located in the new overlay district zoning that was created for the Bedford Depot Park area and thus could be used for retail purposes such as a store or restaurant. Ken mentioned he has been approached by a few developers but has not yet had any serious offers. The rear of the building has already been torn down. Two cranes are on the property ready to remove the rest of the building. 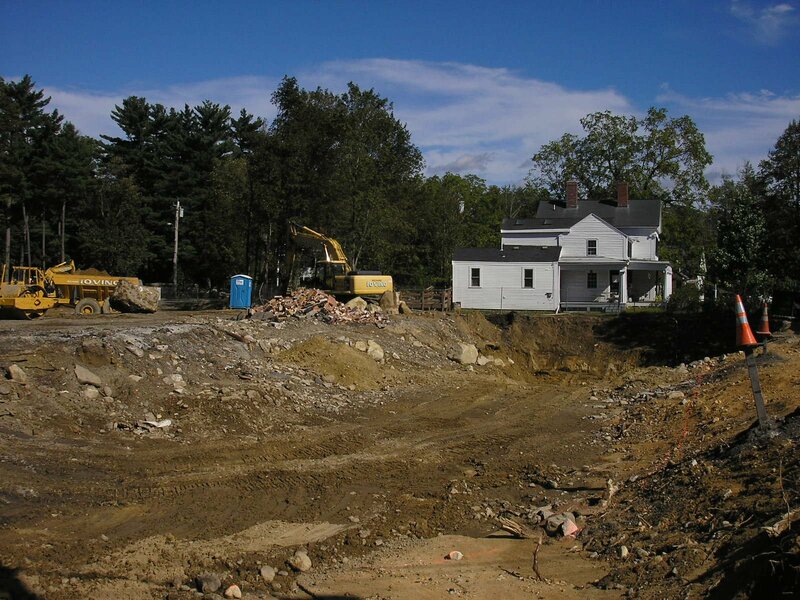 The removal of the building will improve the aesthetics of the Bedford Depot Park area. A restaurant would be a valuable addition to the Depot Park area. It would both draw foot traffic from and provide foot traffic to the other retailers in the area such as the Bikeway Source and JRM Antiques. What do you think? Please take a look at the poll on the upper right and be sure to vote what type of retail establishment you would most like to see. The Curves Health and Fitness Center at 363 Great Road is looking for a new owner. I recently spoke with Rahul Chandra, the current owner. While Rahul has owned Curves since 2006, it has been open since 2003. According to Rahul, he now has 2 small kids at home in Framingham and no longer has the time to run the business. 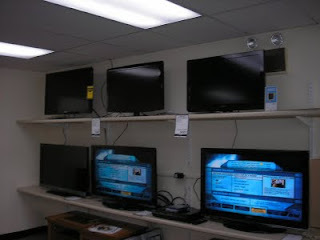 He is looking for a buyer to purchase the business for $2,000 which includes the 13 pieces of circuit equipment. It will be interesting to see if he gets a buyer. The store currently competes with Get in Shape for Women which is a few blocks away. Curves has 76 locations in Massachusetts and is in all 50 states while Get in Shape has 56 locations in Massachusetts and is now expanding to other states from it's headquarters in Needham.